Use 2.4ghz or 5ghz for wifi connectivity? Hello, im using wifi on my ps4 to go online and need some help regarding router configuration. Should i enable 2.4ghz or 5ghz or both on my router. Also what should i select for Channel Width on both the bands for best reception on my ps4? You should use the 5G connection, in this situation. But I recommend the wired connection over WiFi. I've used both of them and I've found wired connection to be better than WiFi. Now, that being said, if you have a capable connection behind that router, 5G is the way to go. If you don't have good connection for that 5G connection, then you'll get lag. So, my point here is it's not just your router, it's what your internet can handle. 5G router is cool and all, but it needs the actual connection to solidify the stable connection between you and the game's server(s). Then it's bearable, anywhere lower than that, then you have a problem. Hard wire in if you can. My router is literally behind my PS3 and PS4 so I hard wired both into the router. You get stable connection that way. 3.4 ghz is fine if you live away from neighbors. I think you get better range with it that than 5G but since so many 3.4ghz routers exist, they tend to interfere with each other, hence why 5ghz is the new thing. But if you're further away from your router, the signal drops off (it does have shorter range). Hell, I live in a 1 bedroom condo with my router downstairs. If I'm in my upstairs bathroom taking a poo, I notice my connection is lower on 5G, whereas 3.4 on my network has full connection (my porcelain throne is literally above the router). In my experience, you'll be fine either way. 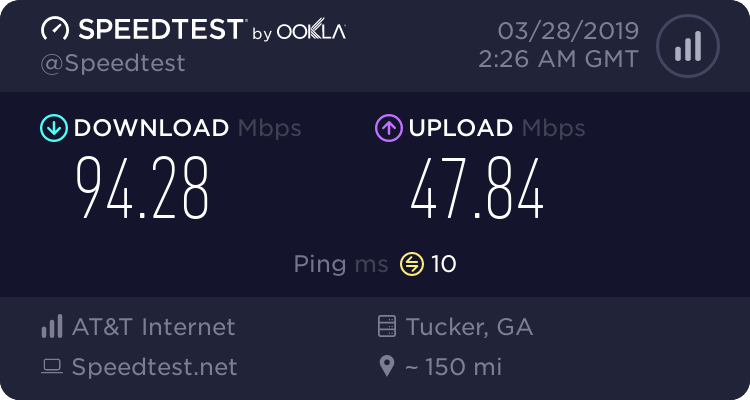 I'm pretty sure my desktop is on 3.4G (my wireless card is older, about a decade old and pretty sure it only picks up 3.4ghz, and I don't feel like paying for a new one) and I have no issues, and I have a boat load of neighbors. My cell phone and laptop is on 5ghz. My advice? Set up both on your router and play with both if you can't hard wire in. My personal experience is I've noticed no difference between either speedwise except signal strength (5G being lower usually when walls are between my router).